The year is 1986 in the multi-cultural and multi-ethnic mosaic that is Hawaii. 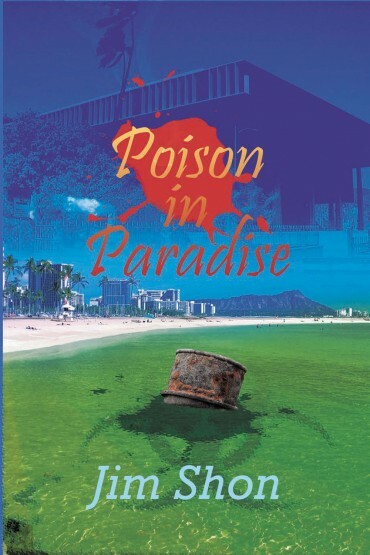 Poison in Paradise is about power politics, crime arrogance, cover-ups, the media, and the inner working of a legislature. It is set at a time when the environmental movement was just learning to challenge the growing appetite for development and profit. 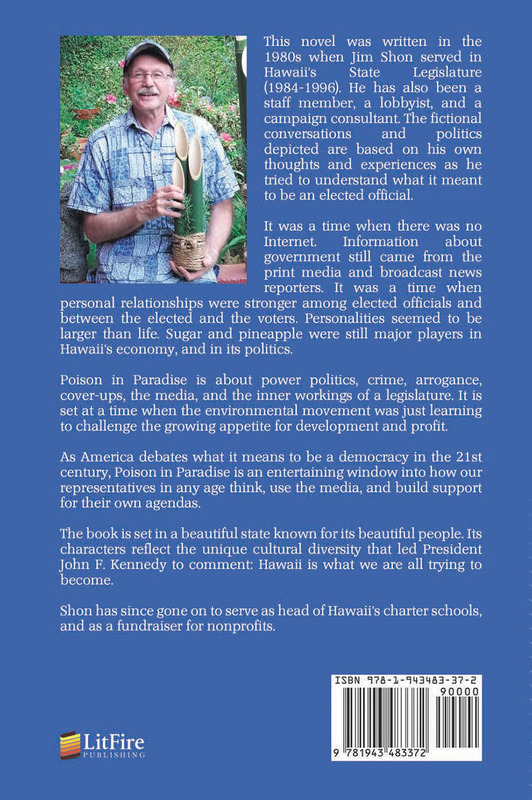 Follow the inner thoughts and maneuvers of rival legislators, and how the world of the state capitol is interwoven with the corporate appetites of a declining agricultural industry, the state of the media and how it covered public affairs before the arrival of the Internet.